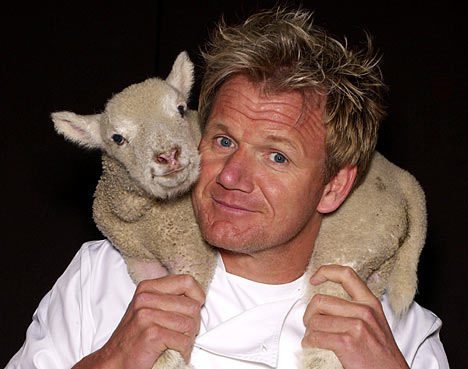 Gordon Ramsay; of all chefs in the public-eye, he's one of the more comical and brutally honest. He's known for his harsh critiques and 'unnecessary effing-and-blinding' that your upper-class Nan can't possibly sit through, prompting her to reach for the remote to watch Delia's cooking show instead. I wouldn't say painful, but something doesn't look quite right with that Steve. Where are the baked beans and hash browns? 4/10 from me; I'm not-a-professional chef but know what a fry-up should include, jheez. Clearly not impressed with the preparation there. So there you have it. A laugh at Gordon Ramsay's hilarious honesty. If you're sending in a photo for an expert opinion, prepare vegetables properly, don't miss out vital parts of your fry-up, and chill out with the amount of sandwich filling, unless you want to be called an idiot sandwich.